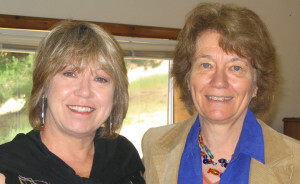 Jacquelyn has often been referred to as the “pioneer” of the national and international HSP Movement since co-founding the HSP Gathering Retreats in 2001 with Dr. Elaine Aron. In reality, it is the highly revered, Dr. Elaine Aron, who is the true pioneer in this movement. Her ground breaking work has truly changed the lives of milions of HSPs through the publication of her six books, which havc been printed in 14 different languages . I will, like many others, be eternally grateful to her. Jacquelyn, a Licensed Professional Counselor, is an HSP, High Sensation Seeking Extravert. Although she grew up financially impoversished by today’s standards, she was fortunate to have an incredibly strong, secure and loving attachment to her primary caregiver – her Mother. She was always given the gift of being seen, appreciated and loved for being sensitive. This gift provided Jacquelyn with a strong spiritual life, and allowed her to honor, though not always manifest, the many visions she often received growing up. As an adult , her life’s purpose revealed itself to be a “Social Justice Activist” ~ changing the lives of many on her path. In 1983, she founded The Mother’s Center – a research, service and advocacy center for primary caregivers and their families. This center is now The Family Resource Center of LaPlata County, Durango, Colorado. Jacquelyn and her counseling, coaching and retreat company, Lifeworks for Highly Sensitive People is committed to harmonious personal and social transformation aimed at creating inclusive environments of individuality, belonging and mutual respect; self-discovery and healing; positive regard and goodwill. She is has been certified in Myers Briggs Personality Inventory, since 1991; holds an EMDR, Level II certification,and is trained in Hypnotherapy. She delights in offering the annual HSP Gathering Retreats, nationally and internationally, and in her spare time offers small, wilderness retreats in the mountains of Colorado.